Redpath has a new contest! Take your desserts to the next level with a bit of extra prep, a few new key tools, and beautiful finishing touches. 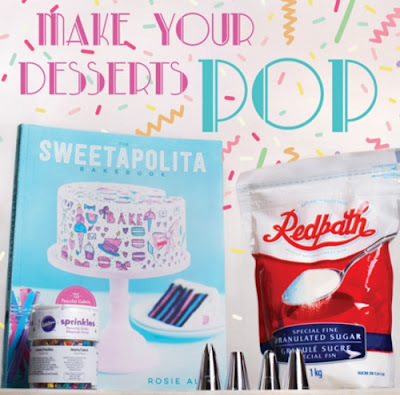 Prize includes: Sweetapolita Bakebook, 12-piece cupcake decorating set, Sprinkle assortment and Acts of Sweetness Prize Pack. Contest closes March 17 2016.